An advanced fishing simulator developed by Ultimate Games in cooperation with PlayWay. The goal of the developers of Ultimate Fishing was to create a game that would recreate all the appeals and nuances of this common hobby. 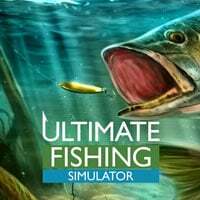 Ultimate Fishing for PC is a simulation game for lovers of fishing. It was developed by Ultimate Games, which established cooperation with PlayWay, the publisher of such titles as Car Mechanic Simulator 2018, Agony, and Farm Expert 2017. The main goal of Ultimate Fishing’s developers, as the title suggests, was to create the ultimate simulator that would faithfully recreate true fishing struggle. To do so, seven varied fisheries were prepared on the basis of actual fishing spots in Panama, Russia, Canada, or the United States. The game lets us fish from a boat at sea, from a lake shore, or through an air hole. The variety of locations also means that there are various fish swimming in them, and each species requires us to adopt a different approach and equipment – therefore we have a wide selection of rods, reels, hooks, baits, and other components at our disposal. Moreover, Ultimate Fishing features changing weather conditions and a full day-and-night cycle. The former and latter combined with realistic water physics make fishing more varied and unpredictable – anyway, it’s no secret that some fish are easier to catch at night and you don’t fish the same way on a calm lake and a stormy sea. The above is complemented by an advanced level editor that lets us create a fishery of our dreams. The game also features a multiplayer mode with tournaments for many players. For a fishing simulator, Ultimate Fishing for PC looks very nice. The developers devoted much attention to modeling equipment, baits, and other accessories. Furthermore, water looks realistic, and the day-and-night cycle is the icing on the cake.